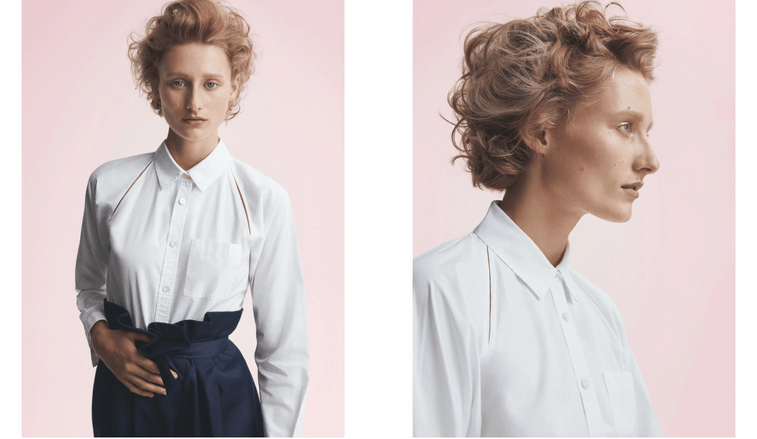 Sassoon presents the new SS18 Collection FORM, a series of hairstyles reflecting how traditional French workwear labels have become a source of inspiration for many modern brands, even for hair. In an age where collective action is taking the cult of personality, celebrity-led fashion looks stale. The time is right for clothes that represent authenticity and consistency; clothing that’s not trend-related and is timeless. Overalls, dungarees, aprons and palazzo pants hold a modern beauty when fashioned out of fresh white linen and French navy cotton drill. Le Mont Saint Michel, launched in 1913, just a few miles away from the famous abbey after which it was named, combined its factory with a school for young war widows. Vétra, whose first motto “Vétra ever lasts,” provided clothing for workers, who, at the time, were compelled to buy their own garments. Le Laboureur ‘The Ploughman’ founded in the early fifties in Burgundy France, continues to use inspiration from the oldest forms of clothing with locally made materials and high-quality fabrics. Today these iconic brands inspire international fashion including cult brand Vetements who showed an oversized version of the worker chore jacket in their SS16 womenswear collection. “There is beauty in functionality; it’s the route to hair that works in a digital age. Overcomplicated hairstyles are a relic of the past,” says Mark Hayes, Sassoon International Creative Director. Natural and effortless results are achieved through honed techniques that appear invisible yet are intrinsic to the integrity of the looks. The Sassoon house codes of pure geometry have been used to create strong interior shapes that sit within the centre of the cut. A softer layered shape is then cut around the original interior shape giving texture and versatility to the exterior. The interior shape creates a framework for the exterior allowing the manipulation of its form from chic and controlled sophistication through to a celebration of the beauty of natural texture. “This season we anticipate a demand for craftsmanship and precision rather than freehand techniques that will demand a focus on classic highlighting and foil-work,” adds John Beeson, Toronto Colour Director. 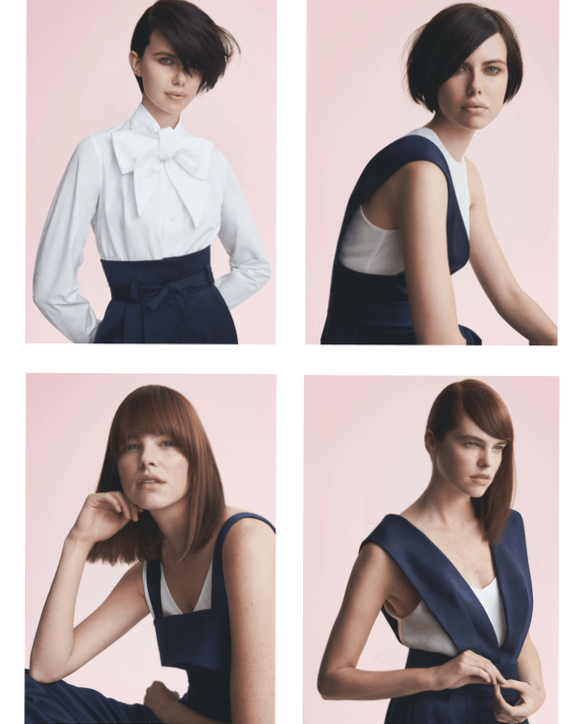 “The interior shape of the hairstyles in the collection is locked with all-over colour, while the exterior shape is softened with overlocked graduated tones.” Overlocking colouring technique was used to accentuate the detail in the different lengths of each haircut and enhance the effect of the shapes. This season’s Fabric Colour Palette is inspired by the classic colours of workwear and its associated uniforms. Cool serge brown is applied to the interior shape with soft copper to the exterior. Chocolate brown is paired with damson red and claret; sandy blonde with dusty lilac and soft gold. Follow Sassoon Toronto on Instagram, or visit their website for more from the Form collection.